Marketing consumer products with a long buying cycle can be a blessing and curse. On one hand, there’s a bigger lag between your marketing efforts and an actual purchase – if you’re marketing a car, for example, it might take weeks for a buyer to make her decision. It’s difficult to tell which of your past marketing efforts affected the sale, or to prove that your current efforts are worth the investment. But on the other hand, a lengthy buying cycle means you’ll have more opportunities to communicate. And as we explore in our new ebook, Deliver More Purchase-Ready Consumers with Marketing Automation, more opportunities to communicate = more opportunities to convince your potential customers to buy. Buyers don’t always follow a linear path — especially when you’re dealing with a lengthy buying cycle. 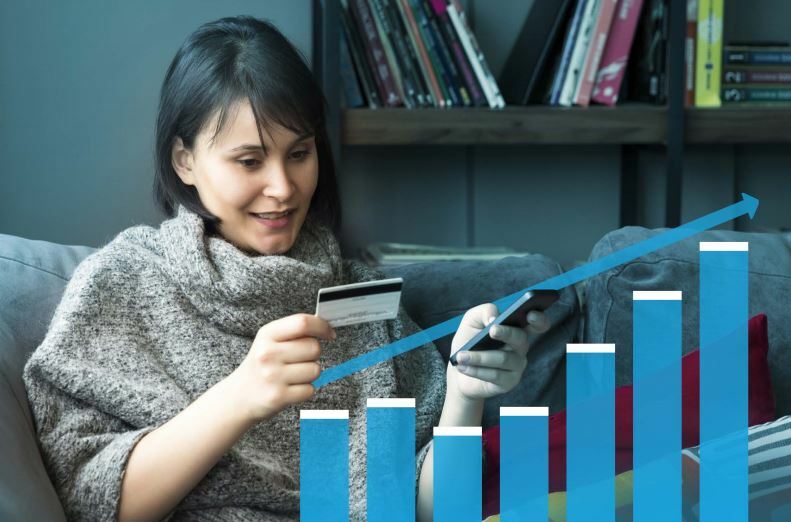 Scoring the readiness of potential buyers (based on their demographic data and/or behavior) helps marketers keep consumers on the right track. Sophisticated marketing automation solutions allow marketers to assign values to certain attributes and actions, and to trigger marketing campaigns when a certain score is reached. For example, let’s say Rita is interested a home security system from your company. The first time she visits your website and fills out a request for information, your solution notices this and assigns 10 points to her score. You also happen to know that your best buyers are between the ages of 30 and 50, so when Rita indicates that she’s 35, your solution adds 10 more points to her score. Since you’ve set a 20-point threshold to define buyers who are “Ready to Buy”, Rita’s total score of 20 tells your marketing automation software to advance her to the “Ready to Buy” stage — potentially triggering an action, such as a call from your sales team. If you’re using marketing automation, you can personalize the content you show buyers (whether it’s text, images, or video) based on their behaviors and demographics. Real-time personalization allows you to display the most relevant web content to each visitor to your site. For example, a university system might display information about different education programs, depending on the materials a potential student has shown an interest in. The home security system company in our previous example might show one system to visitors who have indicated in their mailing address that they live in apartments, and other to those who live in houses. This kind of dynamic delivery actually benefits marketers in two ways – not only are you able to show website visitors the most relevant content, but you’re also able to learn more about each segment of your audience, depending on how they interact with that content. You can dynamically adjust your offerings to each segments, continuously. Measuring (and adjusting for) results along the way is what turns good marketing into great marketing. Your “nurture strategy” is the way you create and maintain relationships with consumers over time – a must-have, if you hope to maintain interest in your company throughout a prolonged buying cycle. Once you’ve figured out how to score potential buyers and present content based on demographics/behaviors, nurture campaigns will keep your marketing relevant, two-way, and moving in the right direction. Imagine that your marketing automation solution notices that Rita, in our original example, has been spending a lot time examining a particular home security system. As a result, she’s then placed in a “nurture track,” which delivers videos, testimonials, and reviews about that system. Your marketing automation notices each time Rita opens an email or downloads a piece of content, and responds accordingly. If Rita continues to download the content, she’s sent progressively more product-specific material. She’s never shown the same thing twice — even if, for example, she watches a video from an email, she won’t be shown that same video on your website. How should I segment my customers? What patterns can I find in their behavior/demographic data? Which of my programs are most efficient and effective? How should I spend my marketing budget? Of course, there is such a thing as too much information – along with the hard data, you’ll need the insight to narrow the numbers down. That’s where “analyzer” dashboards, which can visually display program performance, effectiveness, and marketing’s overall impact on revenue, come in. To learn more about how marketing automation can deliver purchase-ready consumers, download our new ebook: Deliver More Purchase-Ready Consumers with Marketing Automation.